Tavira Algarve Portugal Guide - Fully Updated for 2019! Tavira Portugal Guide - Fully Updated for 2019! Tavira is one of the most charming towns in the Algarve, and is a wonderful destination for your holiday. Tavira lies along the slow flowing Gilão River, and is a delightful mix of traditional Portuguese heritage with deep-rooted Moorish influences. Concealed within the labyrinth of cobbled streets are traditionally tiled houses, family run restaurants, and a myriad of decorative churches. 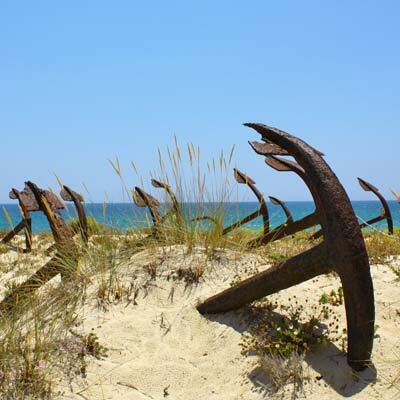 South of Tavira are the protected waterways and mudflats of the Parque Natural da Ria Formosa, and this leads to the beautiful sandy beaches of the Ilha de Tavira. Surrounding Tavira are the fascinating towns of Olhão, Vila Real de Santo António and Cabanas, along with world-class golf courses and unspoilt countryside. 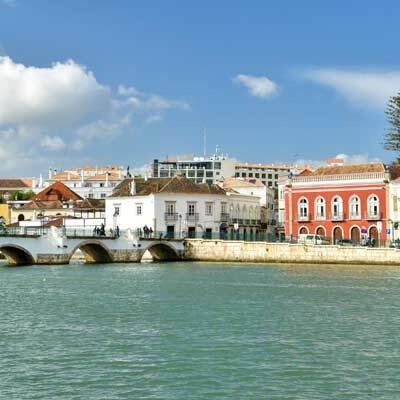 As a holiday destination, Tavira is the perfect combination of beaches and culture, while still offering modern hotels, contemporary cuisines and glorious weather. Tavira is one of our favourite holiday destinations in the Algarve, and are sure you discover the allure of it too. What are the Highlights of Tavira? 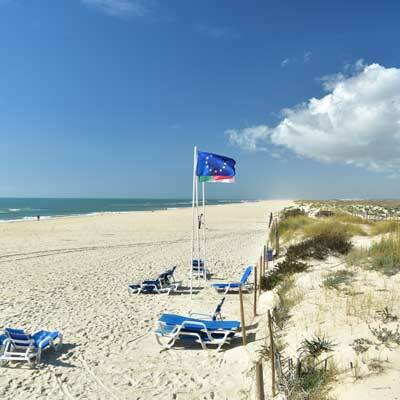 The beautiful beaches on the Ilha de Tavira, only a short ferry ride from the town centre. 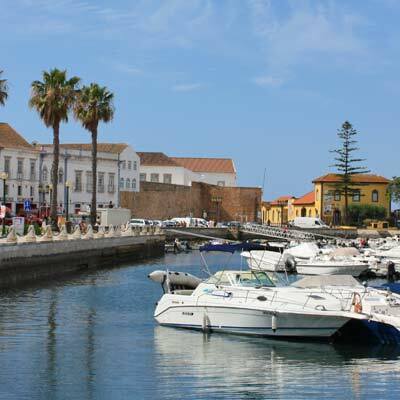 Tavira is located on the eastern side of the Algarve, approximately 30 km east of Faro and 25km west of the Spanish border. This region attracts fewer tourists than the central or western Algarve, and provides a more peaceful and calm holiday experience. 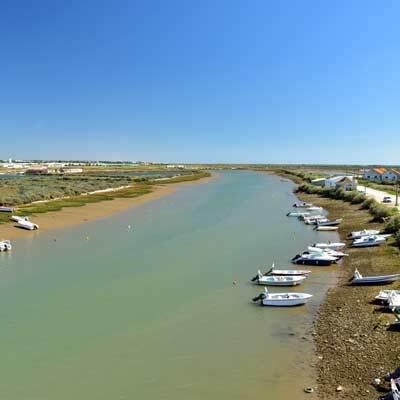 Flowing through the centre of Tavira is the Gilao River, which meanders into the shallow waterways and mudflats of the Ria Formosa Nature Park; a haven for migratory birds and sea life. Beyond the Ria Formosa lagoons is the Ilha de Tavira, a sandbar island which is the location of Tavira’s beautiful beaches. 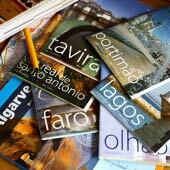 How long to spend in Tavira? Tavira is ideal for a 1-week holiday. A week in Tavira could combine time on the beaches with excursions to the towns of Olhão, Faro and Vila Real de Santo António. As Tavira is a large town, there is a wide selection of restaurants and bars, and it is easily possible to eat (and drink!) somewhere completely different every day. If you are touring southern Portugal, you should plan to spend at least two days in Tavira. The first day would explore the historic sights of the town and the second day would visit the Santa Luzia and the beautiful beaches on the Ilha de Tavira. 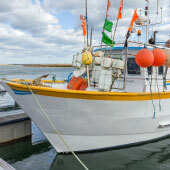 Alternatively, Tavira could be used as a base from which to explore the eastern Algarve. Who should visit Tavira Portugal? 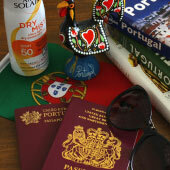 Tavira is a great destination if you want more than beautiful beaches and glorious weather for your holiday. 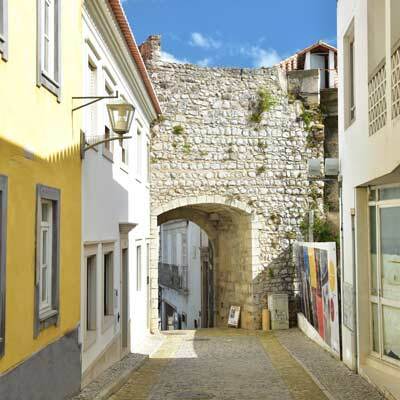 The town is a mature and unhurried destination, which combines an authentic Portuguese experience with modern tourist facilities and services. 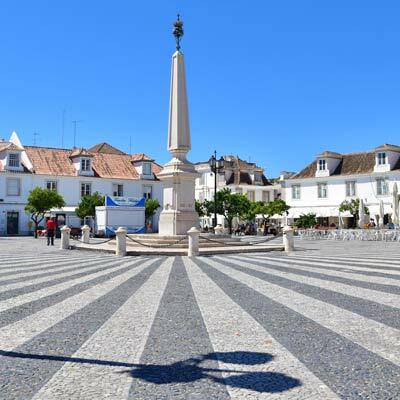 Tavira is far removed from the hecticness of the central and western Algarve, and Tavira is not a holiday destination for groups seeking crazy nightlife and excessive drinking. If you are purely after a beach focused holiday, then there are better locations in the Algarve than Tavira, such as Albufeira, Vilamoura and Praia da Rocha. Tavira’s beaches are beautiful, but there are none within walking distance, and a ferry must be caught. 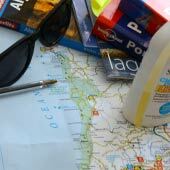 Tavira as a day trip? 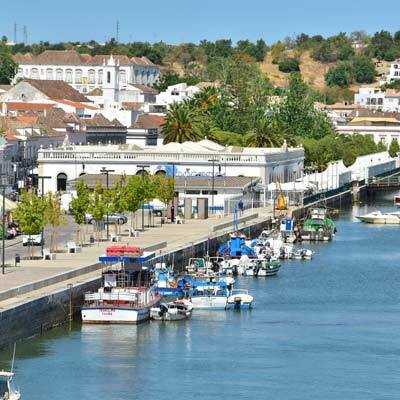 Tavira is one of the most popular day trips of the eastern Algarve. 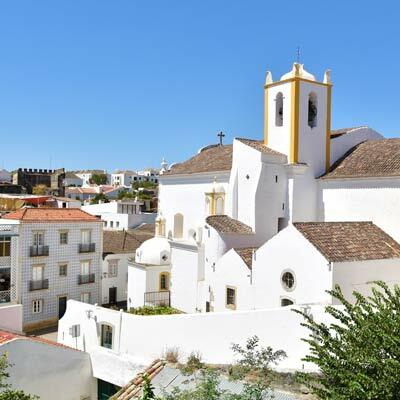 Tavira is a joy to explore with its plethora of historic buildings and ornate churches, all of which are set around charming plazas and pretty cobbled streets. 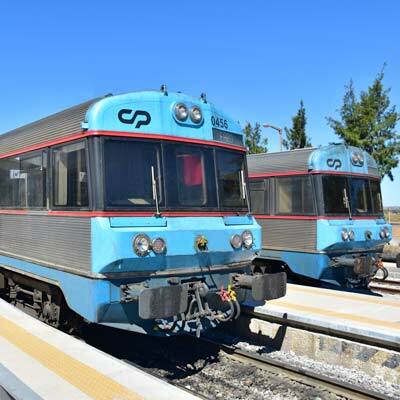 There is good public transport connecting Tavira to the surrounding region, and the town can be easily explored on foot and independently. If you get a chance to visit Tavira, then you should. Tavira for families and teenagers? Tavira is popular with families with young children, who are drawn by the calm and welcoming atmosphere. The town has a wide range of family friendly restaurants and hotels, while the beaches of Tavira are safe and suitable for children. 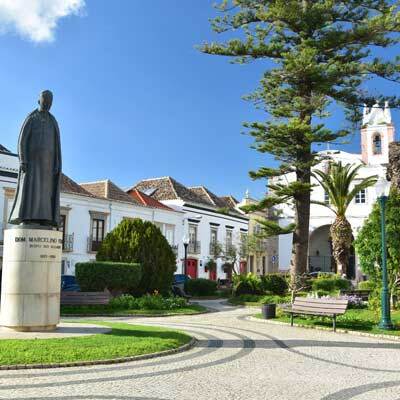 Tavira is a distance from the Algarve’s theme and waterparks, and families with teenagers may prefer to be based close to the hecticness of the central Algarve. The Algarve and Tavira are experiencing massive growth within tourism; the low-cost airlines are adding new routes to Faro airport, new businesses are opening, and the peak season is extending. This increased popularity is great for the economy of southern Portugal, but it does mean demand for certain tourist services, especially accommodation, outstrips availability. 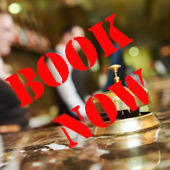 Our advice to you is, if you are seriously considering a holiday to Tavira, book your flights and accommodation now, as prices will rise and then sell out. The height of the tourist season is from June until August, but the weather is suitable for spending time on the beaches from May until the end of September. Spring and autumn are great seasons to visit the region, with sunny weather but without the intense heat or the summertime crowds. The weather in the winter is unpredictable, but there tends to be more sunny days than cloudy, wet days. 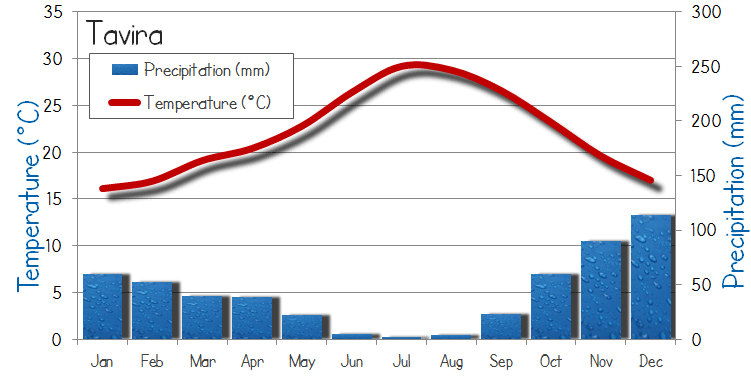 The low season (November to March) is a great time for a touring, hiking or cycling holiday. As Tavira is a major town with a large permanent population, all restaurants, cafes and bars remain open year-round. Does Tavira have good beaches? Tavira boasts a 10km long sandy coastline that extends along the southern side of the Ilha de Tavira island. 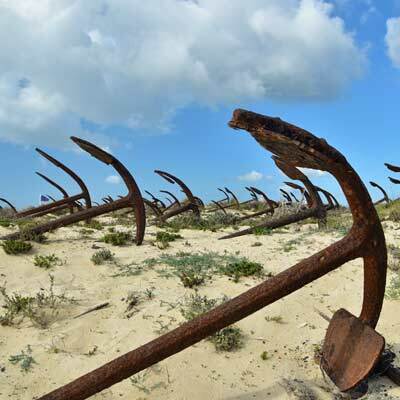 This island is seperated from the mainland by the waterways and mud flats of the of the Parque Natural da Ria Formosa, and there are regular ferries from central Tavira to the beaches. The main beach of Tavira is the Praia de Tavira, which is at the eastern edge of the Ilha de Tavira, while further westwards are the peaceful beaches of Praia do Barril and the Praia de Terra Estreita. 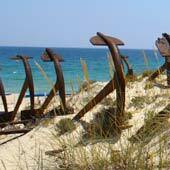 These beaches are calm and safe and are suitable for children. 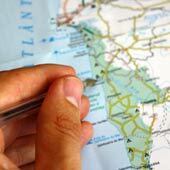 What could be seen and done in a week’s holiday to Tavira? •	Join a kayak tour around the Parque Natural da Ria Formosa. The international airport of the Algarve is Faro Airport, and this is 35km to the west of Tavira. The fastest option for onward travel is to pre-book a private transfer (€44, 40min), there are cheaper shared transfers, but these take longer (€15, 60min). 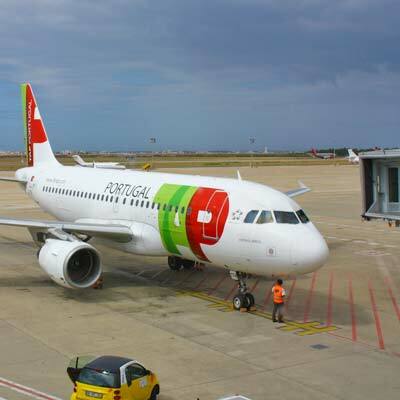 It is possible to travel by public transport from the airport to Tavira, and the journey requires a bus and train; Faro airport to Faro city by bus and train from Faro city to Tavira. 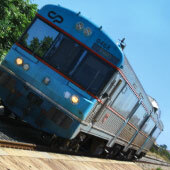 This journey only costs €7.50 but can take up to two hours due to the infrequent departures.